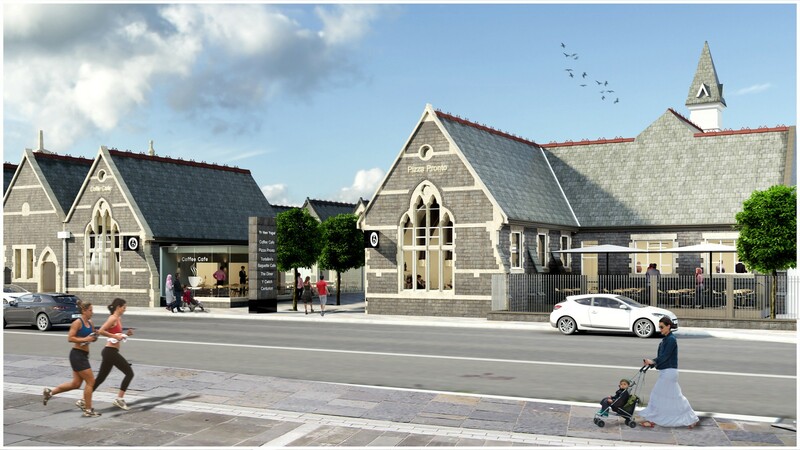 Working alongside Arbenigol Property Development Consultants, HLN have produced design proposals for the change of use of the Grade II listed former Board School on Alexandra Road and Coedlan-Y-Parc, between Aberystwyth’s railway station and the new Tesco and M&S retail site which is under construction. 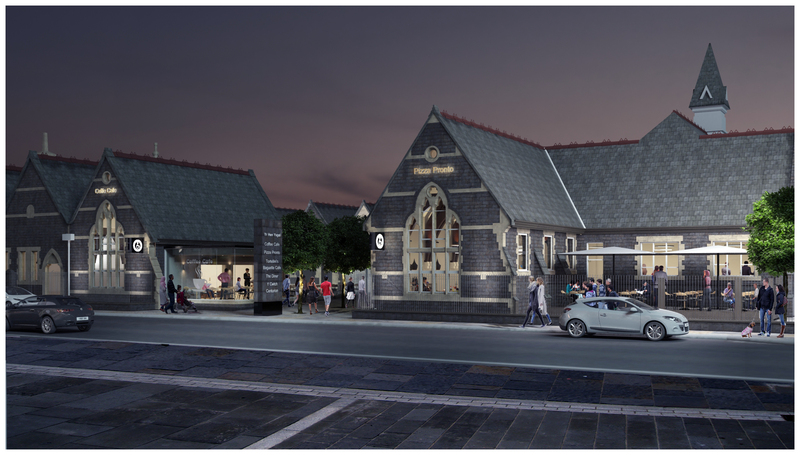 The existing Victorian school buildings and school yard which will be transformed into six self-contained café or restaurant units around a new external courtyard will provide space for outdoor eating and drinking as well as creating a new pedestrian route through the site to connect the new retail development with the railway station. Detail design work is programmed to start very soon.